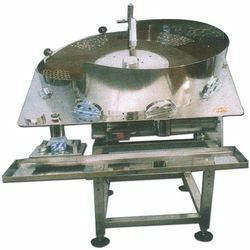 Manufacturer of a wide range of products which include semi automatic capsule counting machine. Power consumptions 0.75 KW / 1 H.P. Air Consumption 40 lit/minute@ 6 bar pr. UPTO 1/2" DIA. UPTO 3/8" DIA.